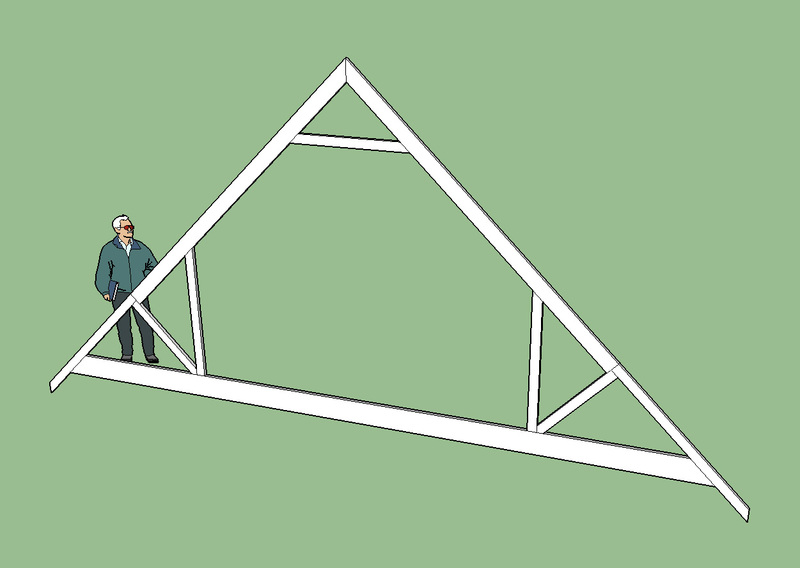 In order to better document the development of the Medeek Truss Plugin I have created this forum and topic. 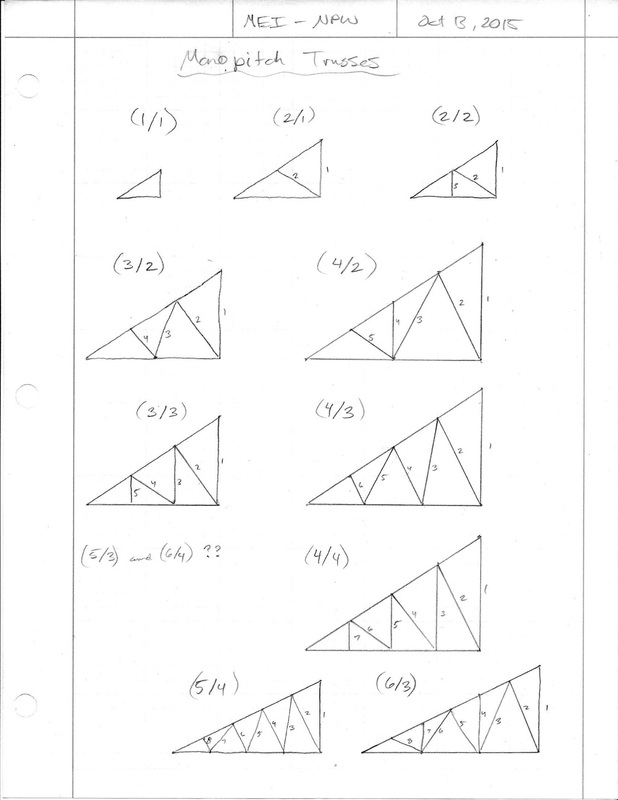 Please feel free to post to this topic directly or start your own on related subjects. 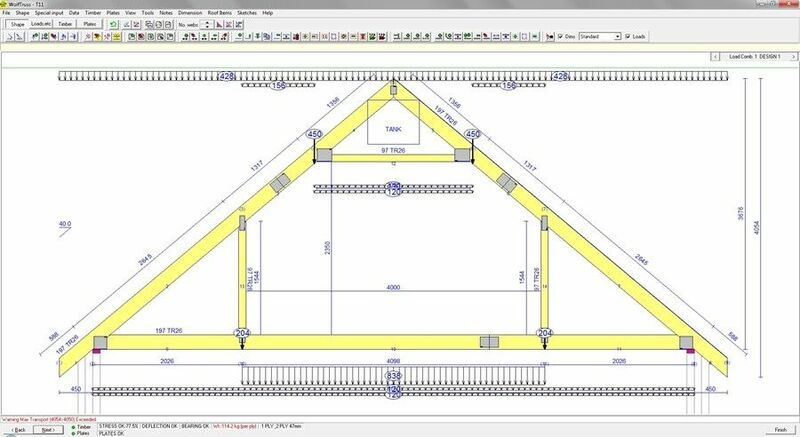 22' truss, notice the change in the web configurations as compared to the 24' truss. There still may be a few kinks to work out in the algorithm that determines how many webs to place but overall I'm pretty pleased with what I have so far. 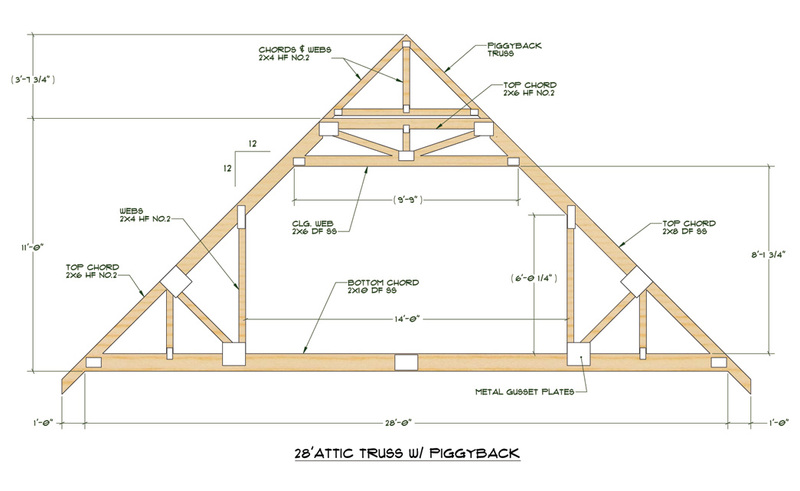 I've officially added the attic truss updates to the plugin so they are now live. I think this plugin may actually have some potential now. 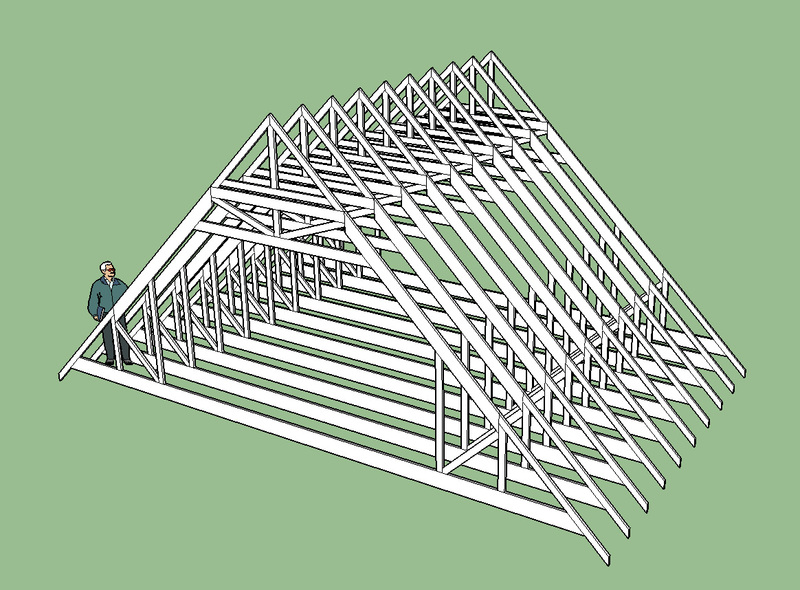 I really appreciate everyone's feedback, this has helped guide me in the right direction on all of this and improved my understanding of SketchUp immensely. I don't think a metric version would be too hard to create. 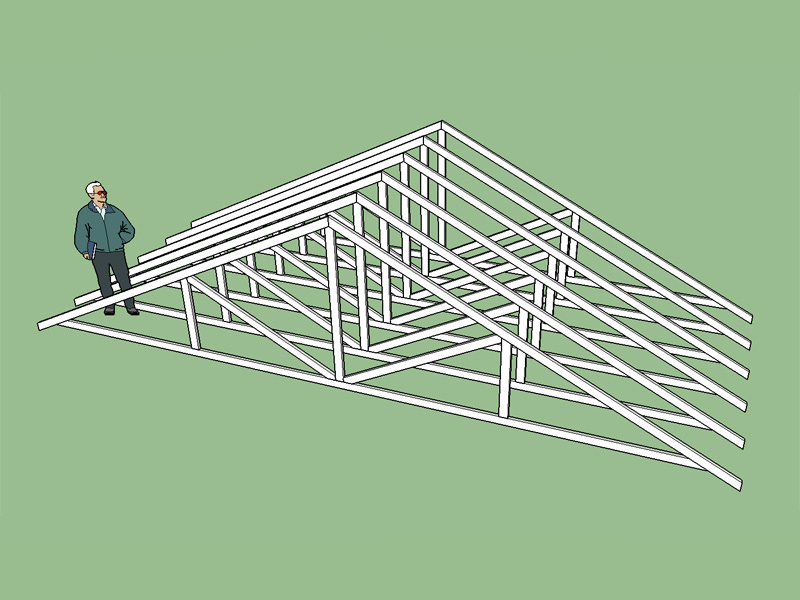 It would be cool if I could somehow have a configuration file of sorts so that imperial or metric could be semi-permanent setting that can be switched within SketchUp. Not really sure how to do this within the API but I will add that to the todo list. I'm assuming the units of interest would be millimeters, correct me if I'm wrong. I think I will also open up the pitch variable so any pitch can be chosen instead of limiting it. I would also like have it in the settings where someone can manage the default values and choose between degrees or x/12 for the pitch. 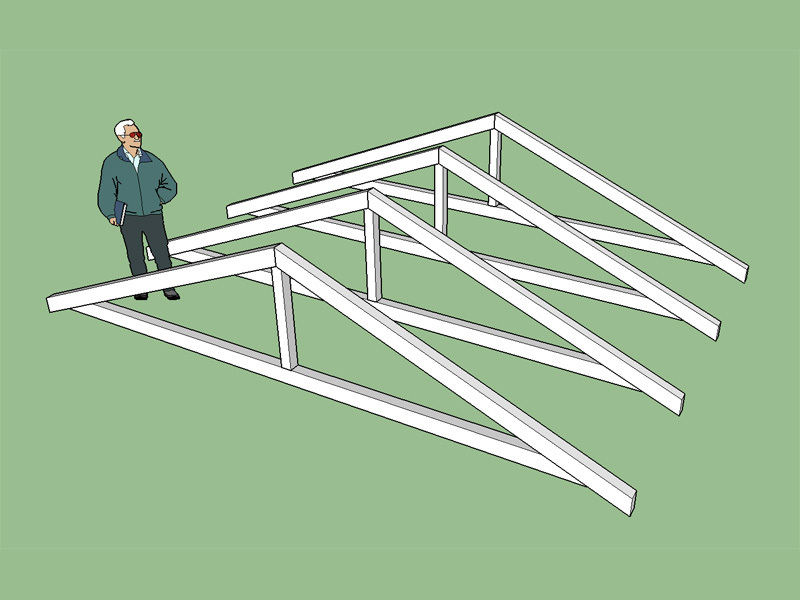 I'm not really familiar with the metric lumber sizes. 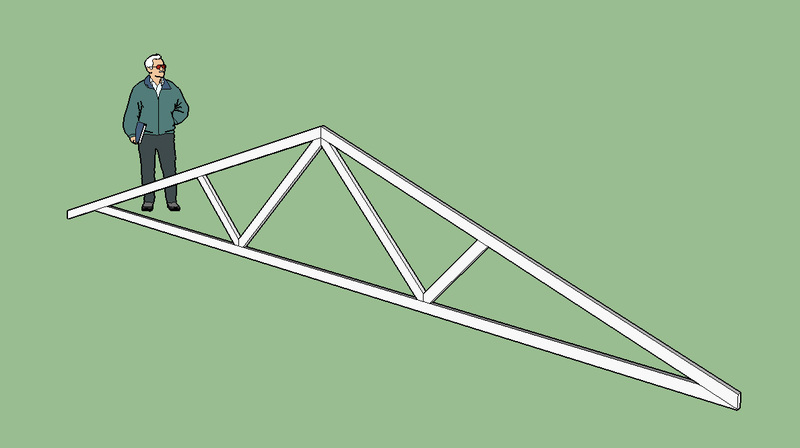 Would you want the variable completely open or limited to certain metric standard sizes? 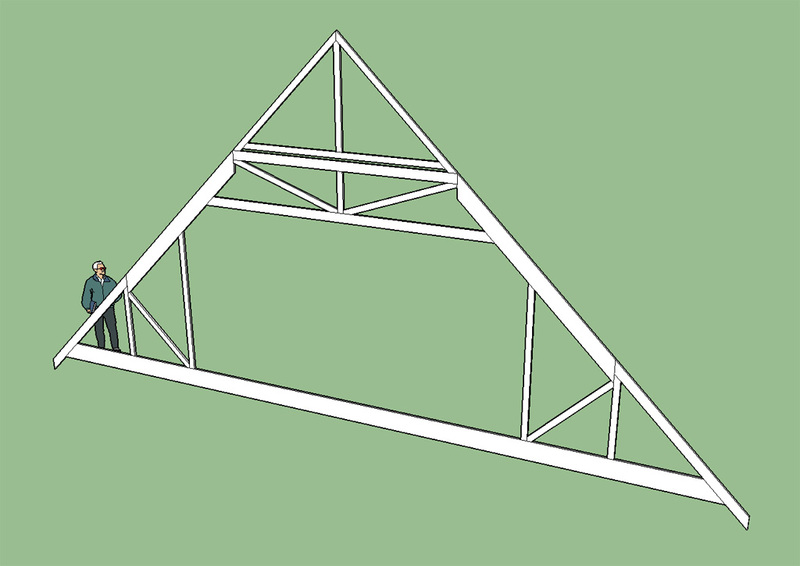 Howe truss type is now active. The latest plugin version is 1.0.4. I would highly recommend downloading the latest version since I have also spent some time this morning cleaning up my code and removing global methods and variables so that I don't clash with other extensions or modules. 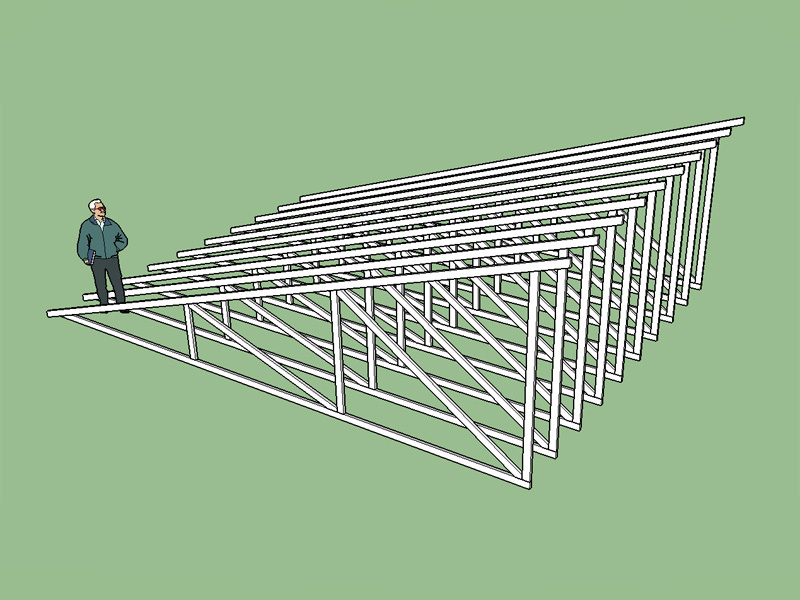 Currently the 2/2 and 3/3 configurations are available, more of this truss family will be added after I address the metric issue and a few of the other requested items. 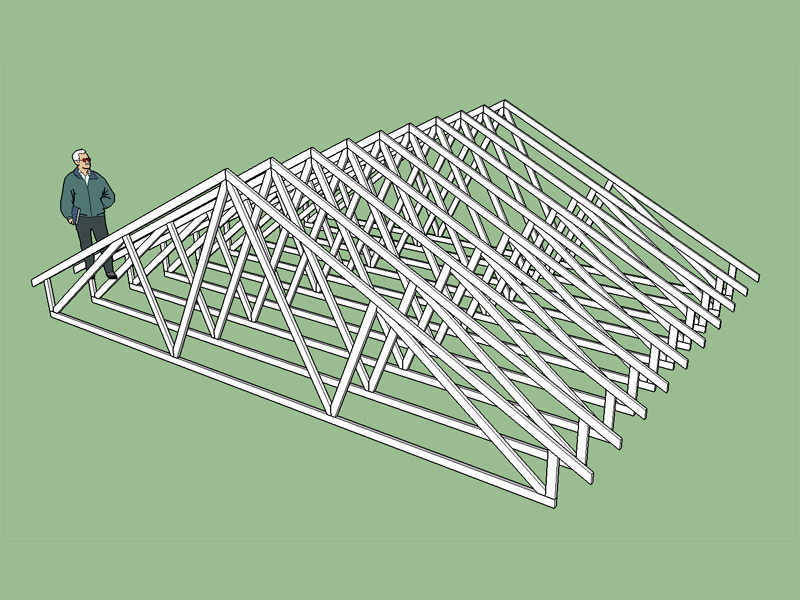 Currently I am dumping the trusses at the origin (0,0,0) since that seemed like the most natural thing to do but I can see where a more intuitive placement system makes more sense and would eliminate the additional steps needed to move the array of trusses into place and possibly rotating them. 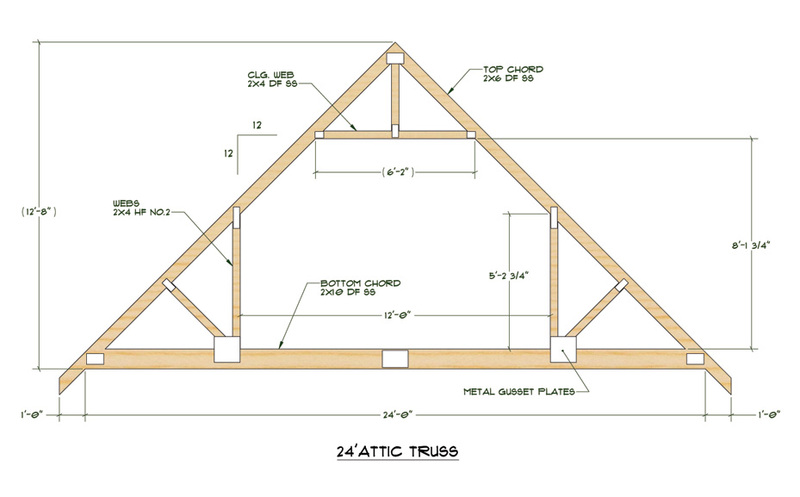 I like the idea of selecting a rectangle which auto-sizes and orients the trusses. Adding a quick launch icon should not be too much trouble either. I've added a toolbar/icon which admittedly is more convenient than having to open up the extensions menu item. I'm not entirely sure I'm happy with the icon set I've created but it is really hard to make much of a 24x24 or 16x16 square.